The latest exhibition at Hawthorn’s Town Hall Gallery pays homage to past lives and labour with a new, immersive installation created by Louise Saxton. The Linen Project is showing from Saturday 27 October until Sunday 16 December. 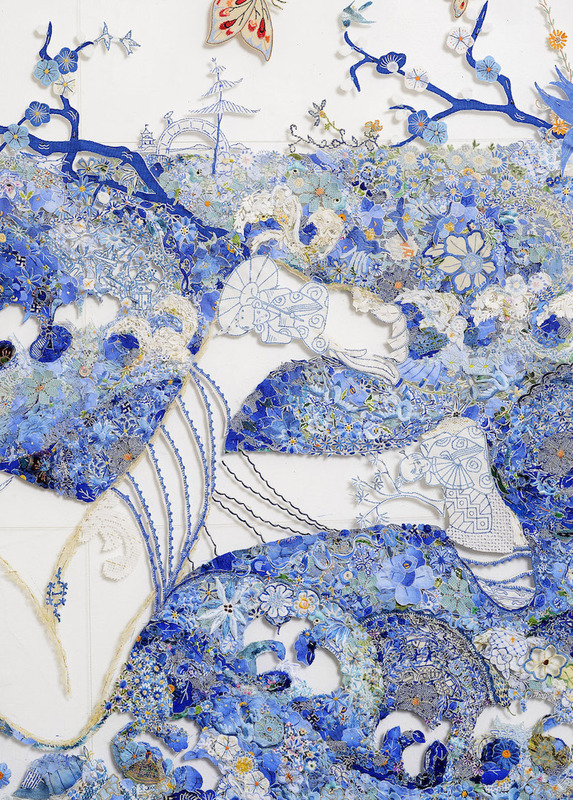 Melbourne artist Louise Saxton has been collecting domestic linens since 1988 and has been extracting and reconstructing the embroidery and lace from the linen for more than a decade to build several major bodies of work, including two and three-dimensional assemblages. For The Linen Project Louise has created an installation with the support of an 18-month artist in residence program through Caritas Christi at St Vincent’s hospital in Kew. The work acknowledges the intrinsic role of linens in the healing and care of patients in a hospital setting. Saxton will also host two Walk and Talk sessions where viewers can gain a deeper understanding of the exhibition, taking place on 27 October and 21 November. Saxton’s work has previously been included in the 18th Tamworth Fibre Textile Biennial 2008. In 2009 she was represented in their Paysage/Voyage exhibition which toured Europe, and in 2012 was awarded a grant from Arts Victoria for the development of her solo exhibition Sanctuary at Heide Museum of Modern Art. Her work is held in collections in Australia, Malaysia, India and the USA. Town Hall Gallery features a diverse range of contemporary public programs, curated exhibitions and exhibitions drawn from the Town Hall Gallery Collection, celebrating the rich cultural heritage of the City of Boroondara. Part of the Public Galleries Association of Victoria, Town Hall Gallery supports local, national and international artists at varying stage of their careers and offers a space for local artists and community groups to exhibit professionally in a gallery environment.